Sixty-eight percent of U.S. housing markets were not affordable for workers earning the average wage in the first quarter. No California county is currently considered affordable. Marin County remains one of the least affordable in the U.S., with more than 100 percent of average wages needed to pay the mortgage. More than two-thirds of U.S. housing markets were not affordable in the first quarter of this year — including all major counties in California. ATTOM Data Solutions’ latest U.S. Home Affordability Report says that the median-priced home was not affordable for workers earning the average wage in 68 percent of measured counties. Nearly three-quarters of counties included in the report saw affordability conditions decline from one year earlier, a trend driven in part by migration patterns. No major California county ranks as affordable for a worker earning the average wage. In the Bay Area, Santa Clara County saw the largest year-over-year affordability decline, at 17 percent. Purchasing the median-priced $1,150,000 home in the county requires and annual income of $300,230 and will account for 67.9 percent of wages, assuming a 3 percent down payment and a 28 percent maximum debt-to-income ratio. San Mateo County also saw a double-digit percent decrease in housing affordability — 14 percent. Homebuyers there need to pull down $341,305 per year to afford the median-priced $1,308,000 home and will fork over 84.5 percent of their wages toward mortgage payments. Solano and Contra Costa counties also saw affordability decline year over year, by a respective 8 percent and 2 percent. Affordability slightly improved from the first quarter of 2017 in three other Bay Area counties: Napa (up 6 percent), San Francisco, and Sonoma (both up by 1 percent). Affordability conditions were unchanged in Alameda and Marin counties. 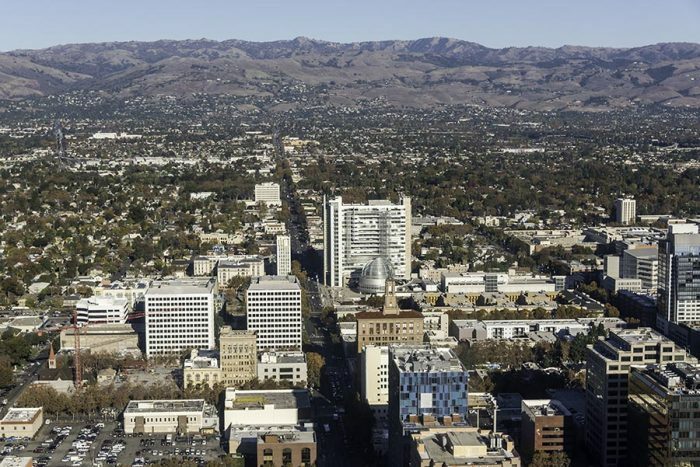 Marin County remains one of the five least affordable in the U.S., requiring 106.3 percent of average wages to make mortgage payments. It also stands as an example of the aforementioned trend of Americans fleeing expensive coastal areas, with 833 more residents leaving the county than moving in in 2017.